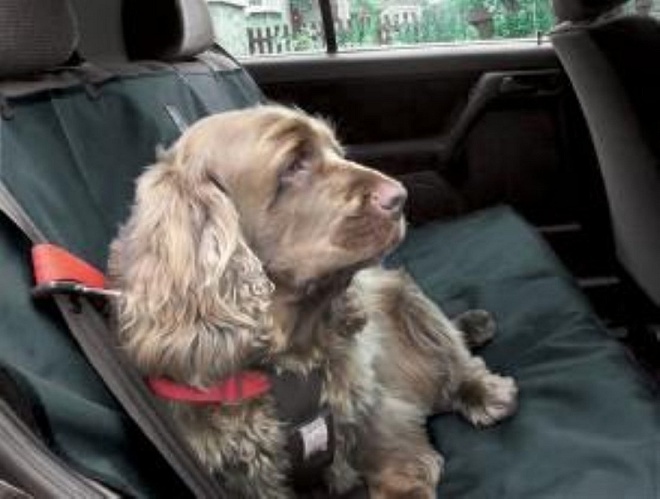 Made from a hardwearing heavy duty waterproof material, the Danish Design rear Car Seat Cover is universal fitting with snap fasten adjustable headrest ties. Also features access points for seat belt anchor points. Has the Danish Design Paw Print woven badge. This is the ideal product to protect your car seat. Easy to clean - just wipe down with a damp cloth! One size: 140 x 115cm.